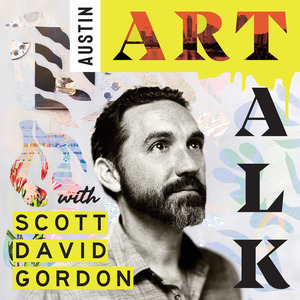 Welcome to the Austin Art Talk Podcast hosted by photographer, art enthusiast and collector, Scott David Gordon. Scott has lived in Austin most of his life and has through his photography met and befriended many artists, people who support the art scene, and all kinds of interesting and creative types in many different fields. The goal of the podcast is to facilitate connections with and to learn from the successes, struggles, life experience, and wisdom of the people featured, most of whom live and create in Austin, Texas. How can we share our truth and be vulnerable enough to help enable our more confident, creative, and courageous selves to emerge? What are the many ways that art can speak to the human experience and also be therapeutic? How do we combat the fear and myths around being an artist and putting ourselves and our work out into the world in a fulfilling way? The honest conversational flow of these long form interviews lends itself to some really great insights and information that is available to anyone who wants to listen. Please enjoy and share the podcast if it provides some value to you.